Spring is in the air, and with the winter having plagued many parts of the country for the past few months, the warmer weather is certainly much appreciated! And with the milder temperatures and blooming flowers comes the opportunity to make a few changes, including with our homes’ outdoor spaces. While we’ve been forced to remain indoors for the past few months, it’s almost time to start enjoying the outdoors. 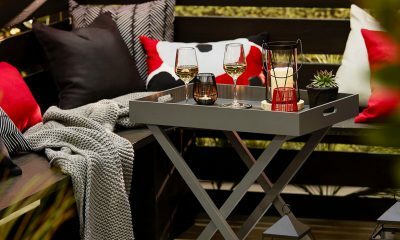 And if you’ve got a patio space at home, now’s the time to start prepping it for the much-anticipated spring season. And no matter how in-depth the changes to your patio might have to be, you can beautify your patio without breaking the bank. Keep reading to get some cost-effective inspiration! First things first. Before you start outfitting your patio with furniture and decor, you might want to start with a clean slate. That means decluttering the space and ridding it of any debris that doesn’t belong. Once you’ve got a clear area, it’s time to clean and prep the surface for your new furniture and decor. Use a power washer to quickly and seamlessly rid the surface of any caked-on debris. Get rid of any nail pops if you’ve got a wood deck, or fill any cracks if it’s made of concrete. For stone surfaces, consider sealing the surface area again. If you’re planning to reuse the same furniture from last year, it’s time to get that all ready. Dust off cobwebs and gently wash each piece with warm, soapy water. For more stubborn stains, use a bleach/water mixture with a bristle brush. Once your furniture is ready, arrange it accordingly. Think outside the box and consider arranging your furniture a little differently than you did last year to change things up and keep things interesting. While it might still be a bit early to start planting in the ground, there’s no reason why you can’t start getting the area ready for planting. Get yourself some planter boxes, window boxes, and vases to scatter throughout the space so that when the warmer weather finally gets here, you can start shopping for plants and flowers and plant them in the spots you’ve prepared. 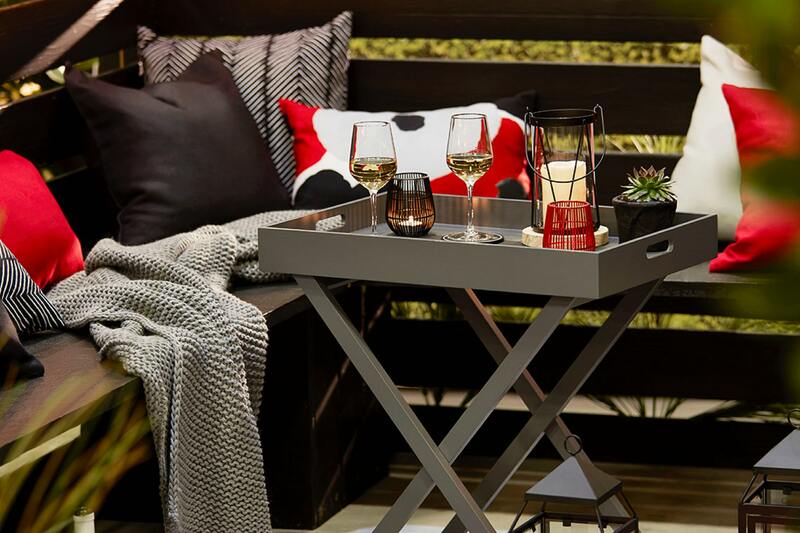 Now that your outdoor space is ready for the big stuff, now’s the time to hit the stores to shop for new pieces to really bring your patio to life! 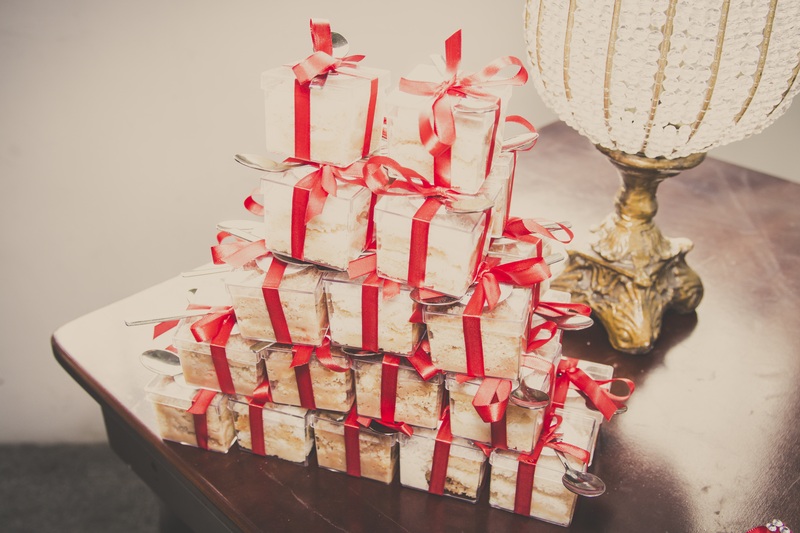 Here are a few things to add to your shopping list. Whether you’re just spending some quiet time alone or are entertaining a large group of friends, patio furniture is a must. This might sound like an expensive list, but it doesn’t have to be. Places like Overstock, Bellacor, and World Market are always offering plenty of great deals on a wide selection of top brands and fabulous items. Plus, there are always discount codes available to use on your purchases. Be sure to download your coupon codes so you can save a bundle when shopping! Enhance your spring and summer get-togethers with stylish, comfortable, and affordable patio furniture! The patio furniture serves as the base of your outdoor space. Once you’ve equipped your patio with the appropriate furniture, it’s time to have a little fun. You may have chosen stylish pieces, but the space really isn’t complete without some decor. If you really want to enjoy your time spent outdoors this spring and summer, be sure to include some activities that both the kids and adults will enjoy. For an afternoon of fun, a few games and props are a huge plus. Of course, shopping for discounted products is always a good idea. After all, why pay more when you don’t have to? With online shops like Overstock, World Market, and Bellacor, you can easily fill your yard with all the games and activities you desire while still keeping some cash in your pocketbook. 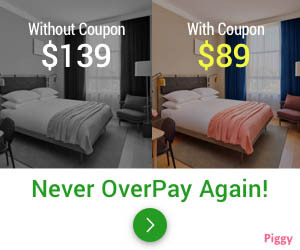 Overstock.com – This online marketplace offers high-quality retail goods, including brand name patio furniture and accessories. And right now, you can take advantage of the biggest sale of the season with products up to 70% off! World Market – At World Market, there’s always a deal to be had. They’re always offering everyday low prices, and when you shop with discount codes, the savings can be even greater. Bellacor – This online retailer is dedicated to helping homeowners beautify their spaces with a wide array of pieces from top designers. And if you sign up today, you can enjoy 15% off your first order! 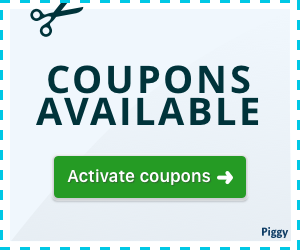 And if you’re looking for an even easier way to save, be sure to download Piggy, a handy tool on your web browser that automatically adds discount coupons when you shop with the click of your mouse! Plus, you can earn as much as 20% cash back at more than 3,000 stores! Don’t wait until the last minute to get your outdoor space ready for warmer weather. Spring is just around the corner. The snow is melting and the temperatures are rising. Be ready when the time comes to spend time outdoors. And don’t forget to shop with discount codes to help you save a bundle!